The infamous athletic training week pushes athletes to their physical limits in order to prepare them for their upcoming seasons. With the help of ice packs, painkillers and Gatorade, California Bap-tist University athletes have been able to survive the week and are ready to pull on their 2013 Lancer uniforms. Most athletes know the intense training as “Hell Week,” a term used by collegiate and professional athletes. Dozens of fall athletes have cut their summers short and returned to campus early to start training for their seasons. Co-captain of the men’s water polo team David Rodriguez, senior pre-physical therapy major, is a training week pro, having now completed his fourth and final season of pre-season training. “After the first few days your body adapts a bit and you need to remember that you’re getting in shape for the season and growing closer as a team,” Rodriguez said. 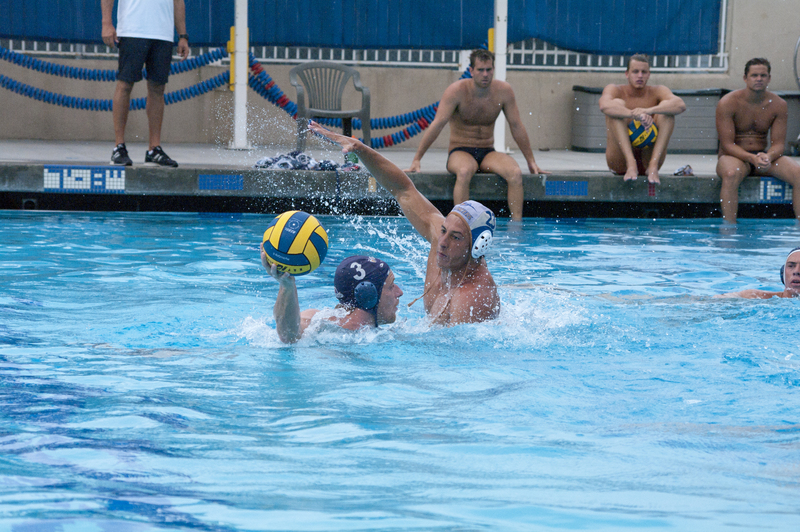 For the men’s water polo team, training week is a combination of pool and dryland sessions, totalling more than seven hours of practice a day. Swimming upwards of 9,000 yards every day, Rodriguez stressed the importance of drinking lots of water and keeping a good attitude in order to get the most out of the week and really grow as both a player and a team. Rodriguez’s advice for freshman is to constantly drink water and eat properly. Designed to push athletes both physically and mentally, training week requires teams to support each other in order to survive the most physically demanding week of their season. For the women’s soccer team, not only do they have to push through more than four hours of practice a day, but they must do it in the midst of the Riverside summer. Sprints, interval training and scrimmaging must all be done in 100-degree weather. “It gets you fit really quick with all the conditioning we do,” said defender Courtney Shutts, junior kinesiology major and center back. “Hell Week gets us excited to play together in the upcoming season. It gives us the base to prepare for a successful season,” Shutts said. Setter for the CBU women’s volleyball team Jordyn Siko, junior biology major, believes the relationships developed over training week are crucial for her team’s success. Through all the conditioning, strategy and weight training, athletes develop something more than just endurance and strength. They build a bond with their team that will be crucial for the rest of the season. Training week takes a group of players and turns them into a team. Determination, perseverance and teamwork are what really get athletes through the rigorous workouts of training week. Men’s and women’s soccer, men’s water polo, women’s volleyball and the cross country teams are now ready and to officially start competeing in their seasons after surviving training week.